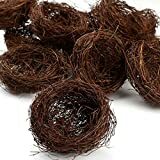 Whether you need a unique bowl, sculptural piece, or just want to confuse your indoor parakeet, these cool new Grapevine Nests should do the trick. 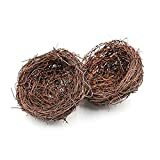 These rustic nests are handcrafted by artisans from real grapevines and metal wire and come in two sizes depending on your decorative nesting needs. 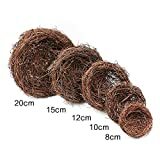 A unique way to bring a touch of nature into your home. 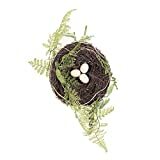 Grapevine and Dried Moss Bird Nest by Meravic (5.5"